Terri and Vince are the proud parents of two young men. However, for 15 years they believed they were raising a daughter. Their younger child is transgender. 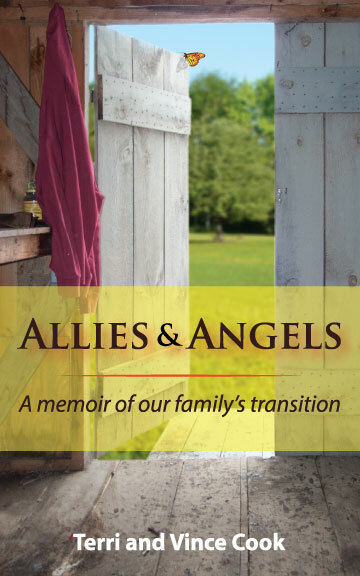 Allies & Angels is a story of strength, compassion and unconditional love—sharing how these parents supported their son’s transition and the lessons learned along the way. Learning their daughter was really their son, ironically, taught them who they are and who they want to be. This moving story highlights how one family approached and endured what they once feared was an unthinkable path. Allies & Angels will inspire readers to look at their lives differently. No matter who you are or how you identify, this book will challenge you to find a new acceptance for all and a deeper love for your loved ones. Read a Sample Chapter. Click here. “Allies & Angels is a powerful story that would benefit anyone interested in growing in love and understanding. It certainly benefited me. The story provides you with a comprehensive understanding of not only what their son went through, but the entire family, when discovering their daughter is really their son. It’s a book that anyone should be able to relate to as a parent, a friend, as a human being. It will hopefully open the eyes of those who are quick to judge, and to instead “walk in somebody else’s shoes.” The Cooks could be your best friends, your neighbors, relatives or classmates. 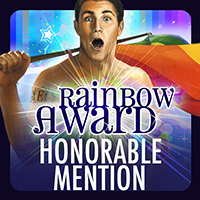 They give an honest and inspiring account about the power of love, courage and acceptance.” —Tami Scott, Editor of Allies & Angels, Baldwinsville Messenger. We also LOVE when you buy from us on Amazon! Check out our book review in the Huffington Post!